The Peace Pole was erected as a sign of peace among all nations. A Peace Pole is a monument that displays the message "May Peace Prevail on Earth”. This message is written in 15 different languages. The message is referred to as a peace prayer. for people to gather to reflect and /or leave floral tributes in times of local, national or international tragedies. the two young people who lost their lives, and for the hostages and all those affected by the siege. 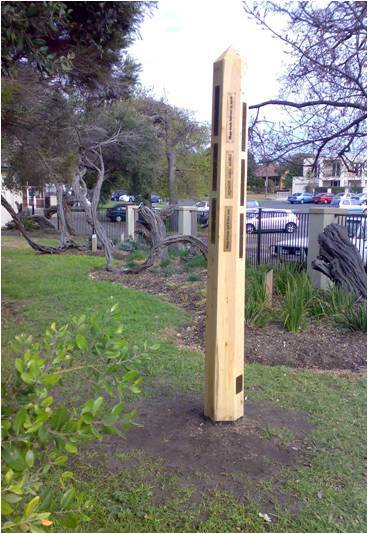 The Peace Pole is in the front church garden near the flagpole.